Early bird ticket sales close on May 31, 2019. General tickets will be availble until August 31, 2019. Can’t wait to see you in philadelphia! Do you have a skill or concept other food recovery leaders could learn? From volunteer recruitment to social media to hotel food recoveries, we are accepting workshop proposals of all kinds from students, staff advisors, and professionals. Presenters are required to register. We will select workshops after early bird registration closes, so we encourage you to go ahead and snag your ticket today. The Workshop Proposal Form will close on July 31, 2019. 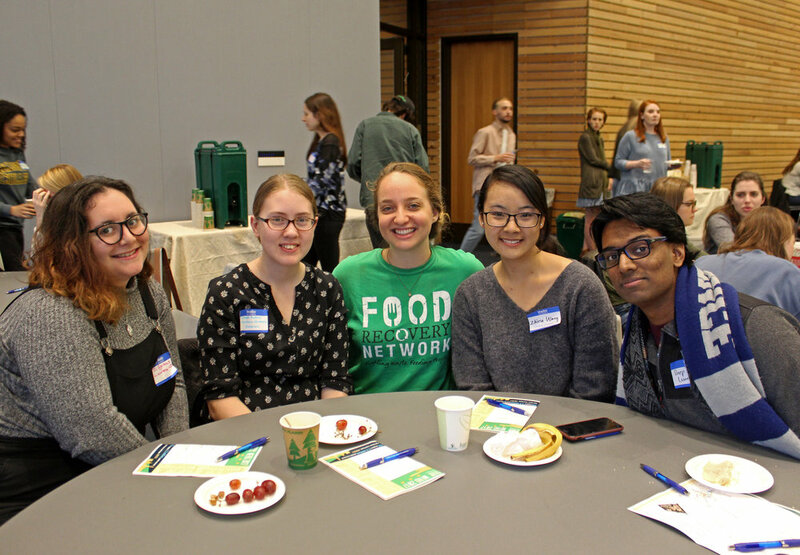 Assist Food Recovery Network’s National Office in putting on National Food Recovery Dialogue 2019! Be a part of the behind-the-scenes action and help FRN put on the best NFRD yet! Have you been researching or studying a topic related to food waste or food insecurity? Share your findings at NFRD 2019! Join the National Food Recovery Dialogue Host Committee and support hc, FRN’s Program Manager, in planning NFRD. The committee members will take on specific buckets of the planning, work independently and with peers, check-in with FRN National regularly, and overall be awesome. NFRD will include an exclusive expo. We're recruiting organizations with jobs/internships, advocacy iniatives, educational opportunities and more. If your organization would like to interface with 300+ food recovery leaders and advocates, reserve your space today.